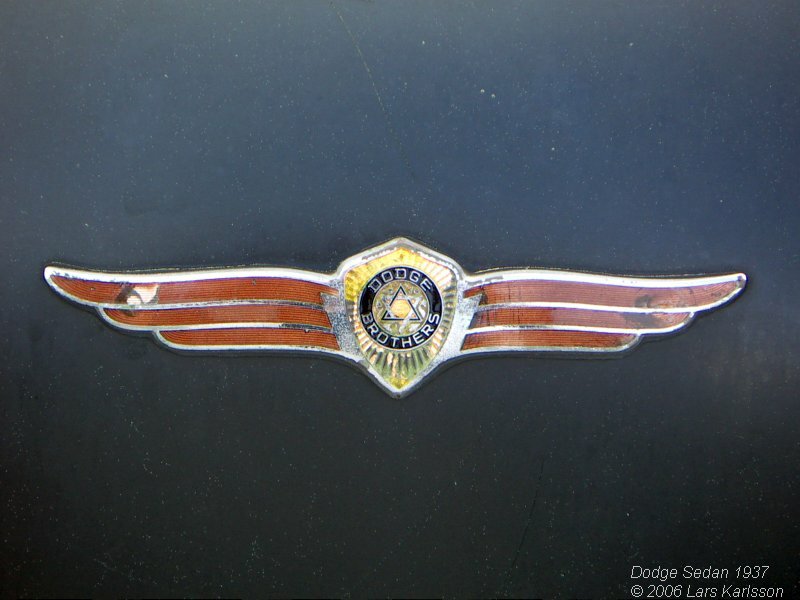 My father had this Dodge in the middle of the 1950s. 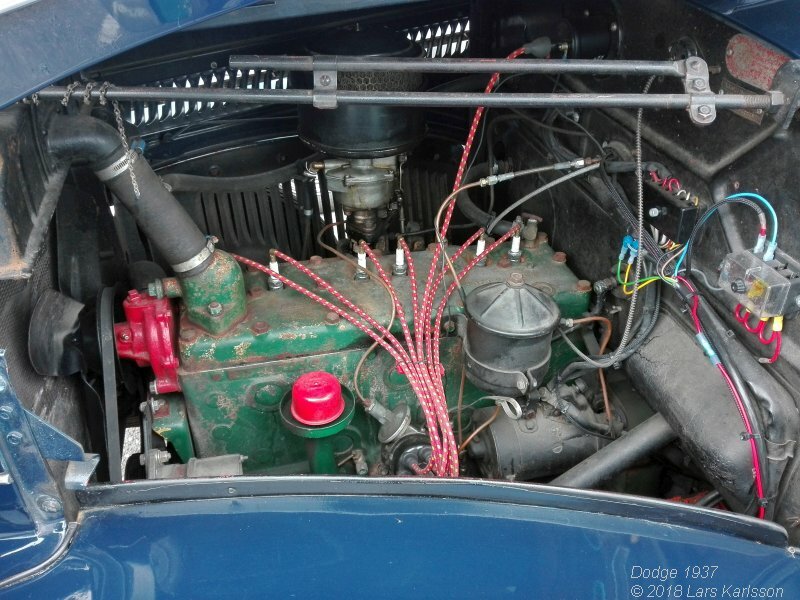 He told me that when he bought the car 1954 the engine came in sugar boxes beside. 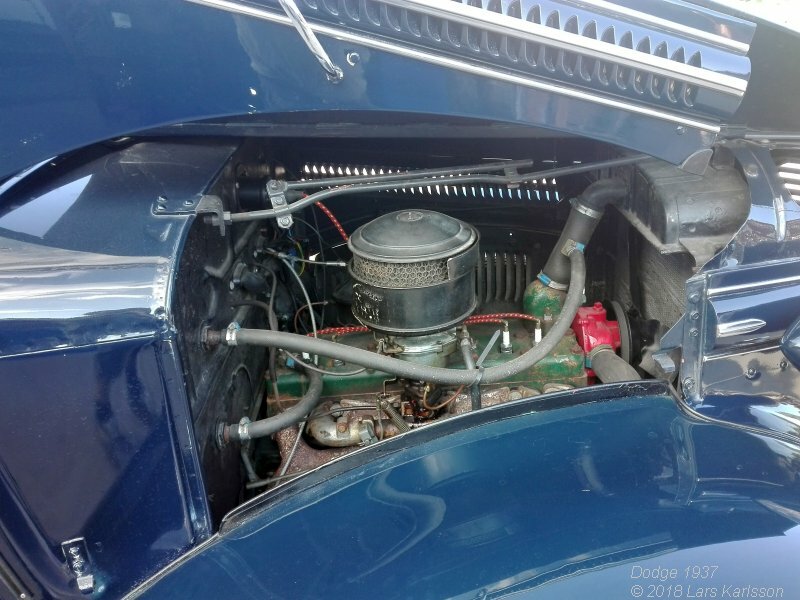 The engine was a flat head six inline, about 85 horsepower. This was his first car and he was enthusiastic and spend a lot of time on it. He had to do a lot of repair of the car. My sister has told me how he painted the car dark blue with a vacuum cleaner. My mom told me how big it was, when doing picnics they placed the box with foods on the floor at the backseat. 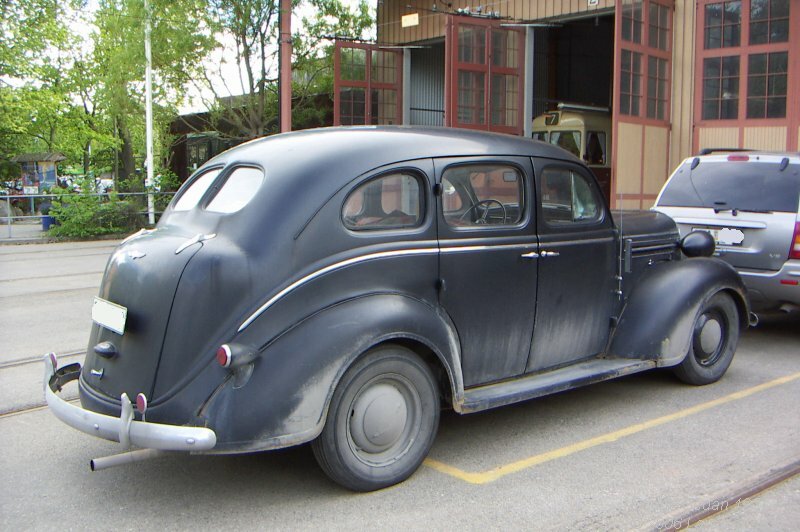 My family did at least one longer trip with this car, down to Copenhagen 1957. It's more than 1400 km back and forth. I only have two photos of this car, this one above I got from my aunt. 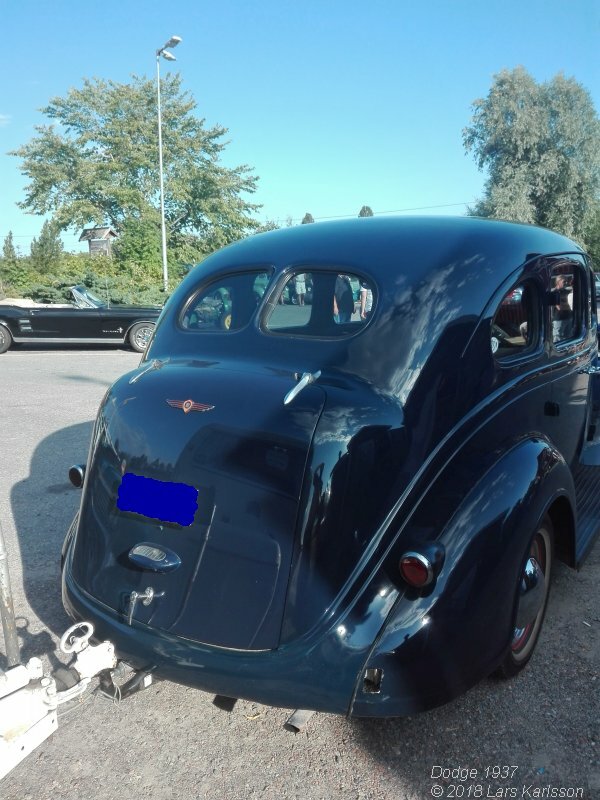 I don't have any own memories of this car, I was born one year after he sold it. I have found two of these Dodges over the years, but no of them where my fathers. 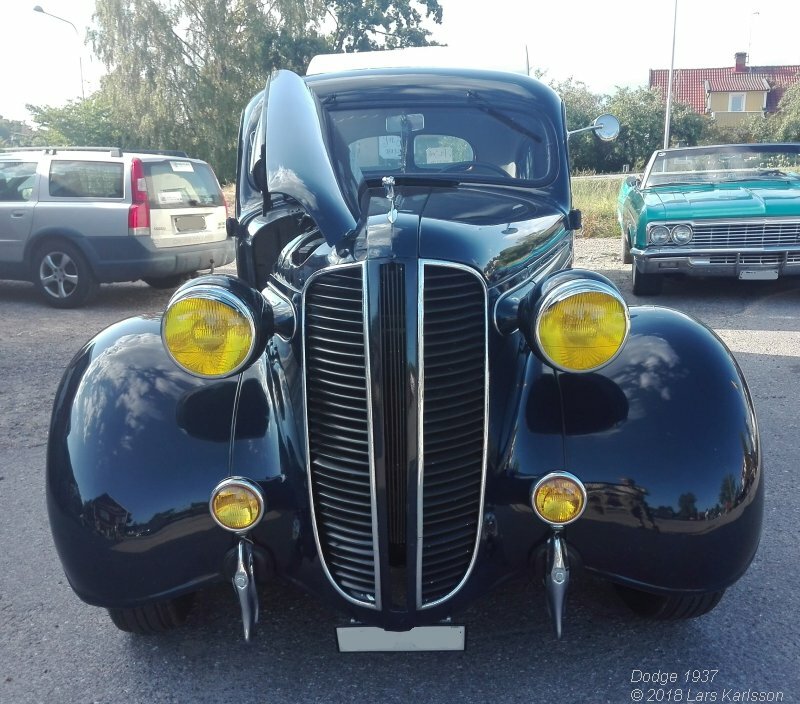 Now I have ordered from the traffic register information of all the Dodge 1937 that still exist today and if I'm lucky I will find my father's old Dodge. I have always thought that his Dodge must have been scrapped. 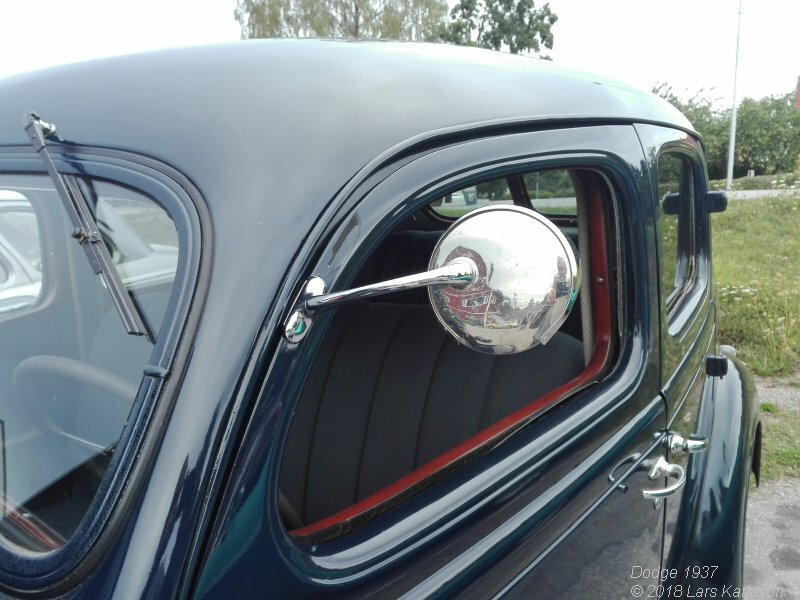 I really like this car, the stand alone head lights, the windshield wipers above the window and other thing as well. 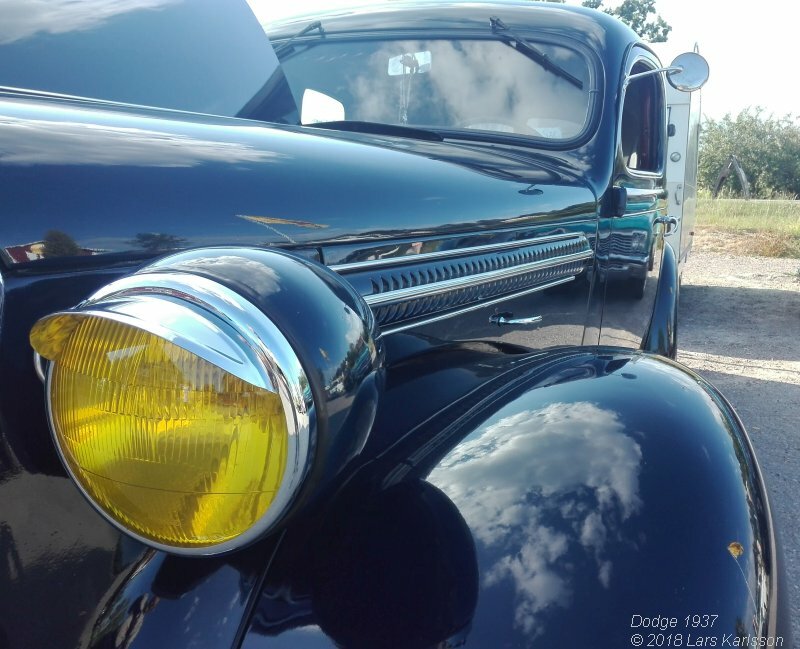 Maybe as you already have read that I also had an old Dodge, a 1959. 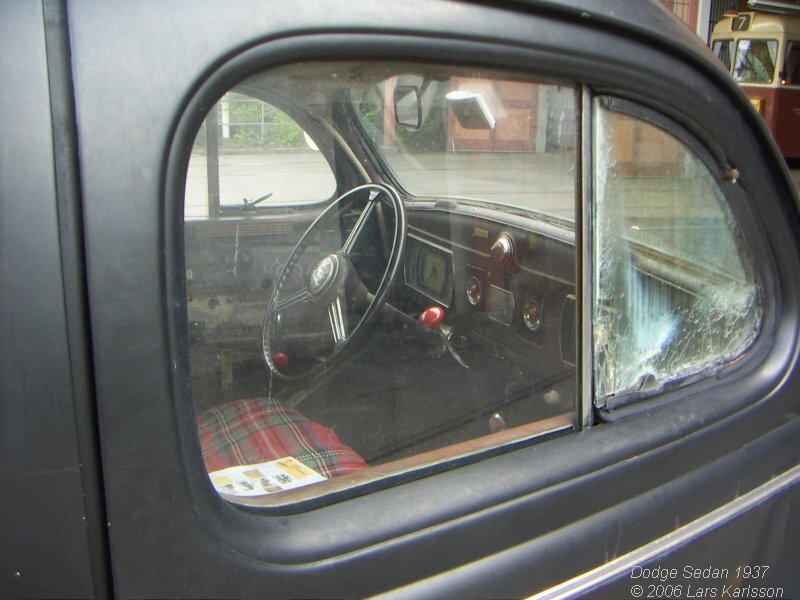 Before I was born my family had this car and on a travel 1957 they were interviewed by a newspaper. 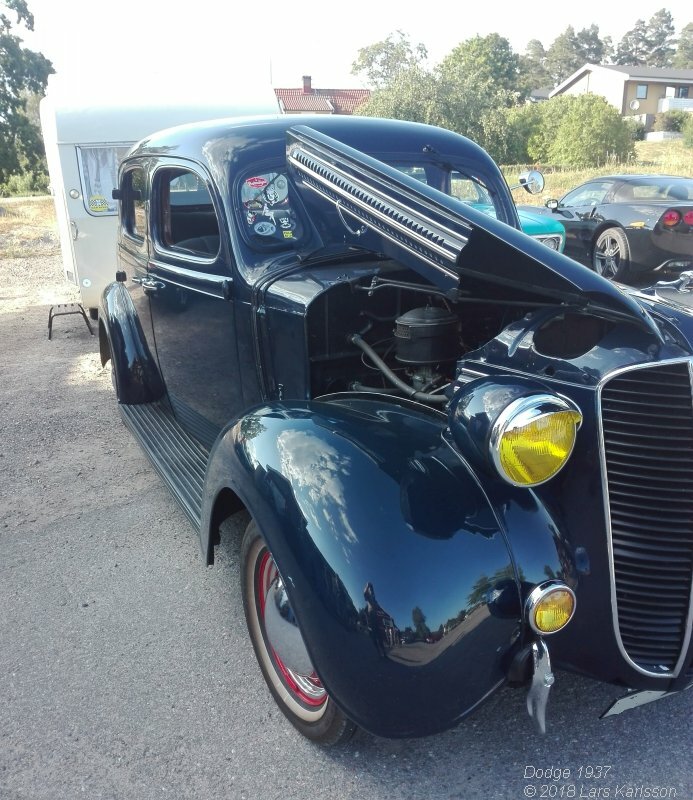 On a car meeting 2018 I found this, a blue Dodge 1937, could it my father's old car? I looked for the owner and found him, we talked about the car and checked the chassis number. Later when I compared the chassis numbers, it wasn't the same. But now I got eager to know, is my father's Dodge still out there somewhere? It wasn't the correct chassis number but anyway it was really exiting to see the car. See the backwards opening doors, kidnappingdoors. 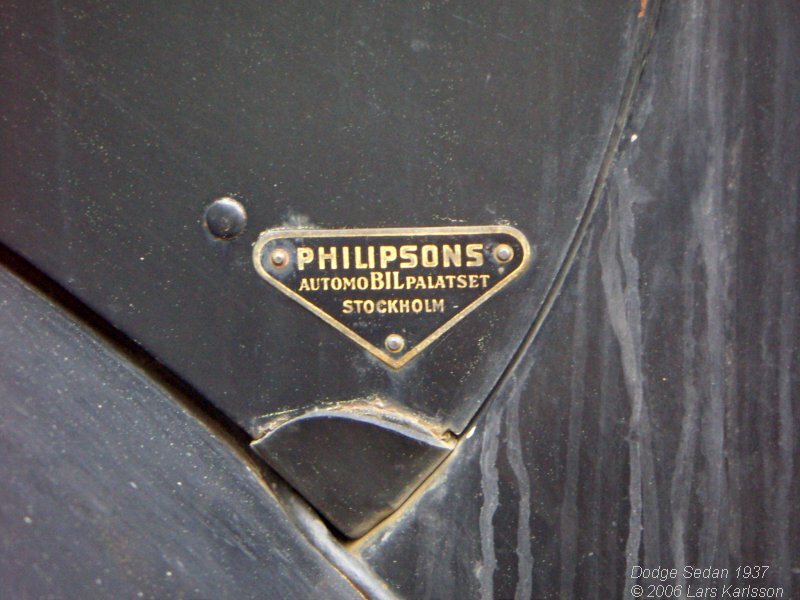 The sign tells that the car is assembled by Philipsons in Sweden. It was common that cars was imported in parts because of the customs fees these years. The hood is divided in two parts and side flips. 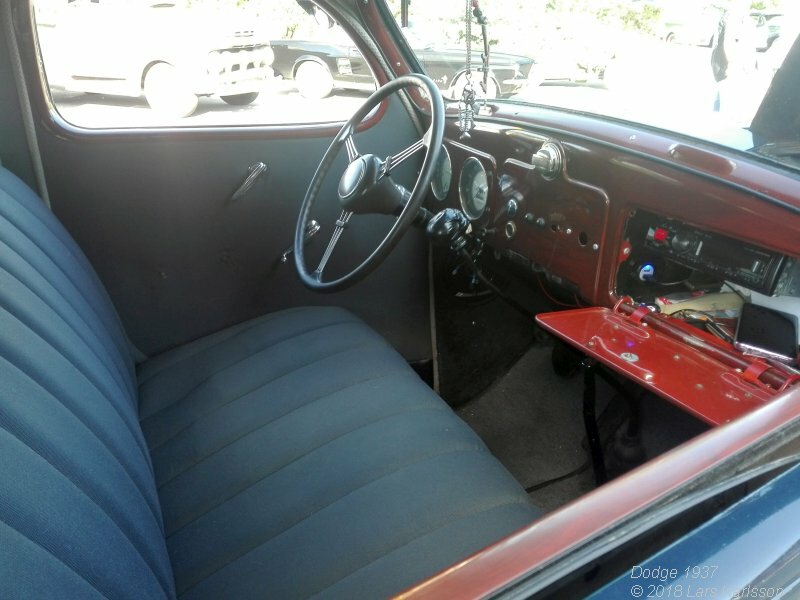 The interior is restored much as it was when new. No rear and front bumbers to keep the clean lines. The engine, slant six. My father's engine came aside in sugar boxes. What a luck to find this car and meet the owner too. Long time ago when I was on my way to car meeting I found this car on a parking lot. 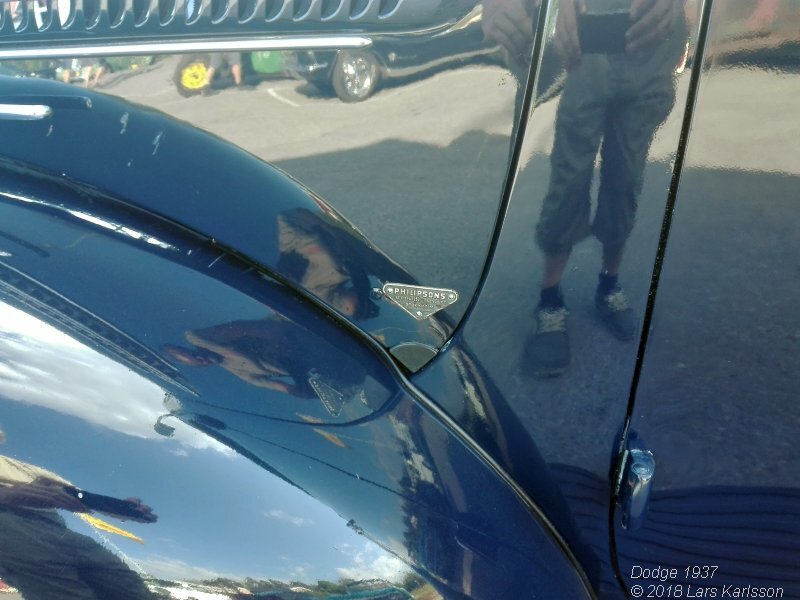 In that time I didn't know very much about my father's Dodge, but it looked familiar. The head lights had the same look. The doors look to be the same. 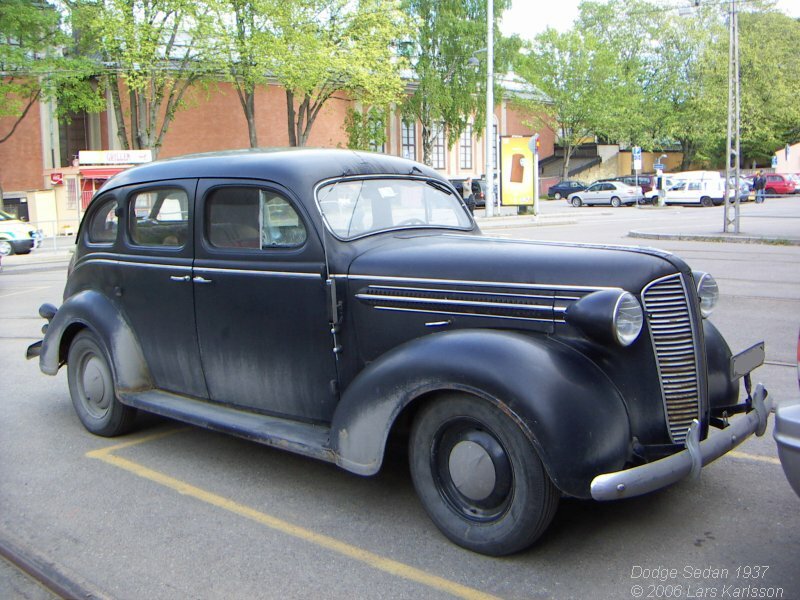 Also this Dodge was sold by Philipsons and maybe assembled in Sweden. Impressive design. I looked for the owner of the car but couldn't find him. 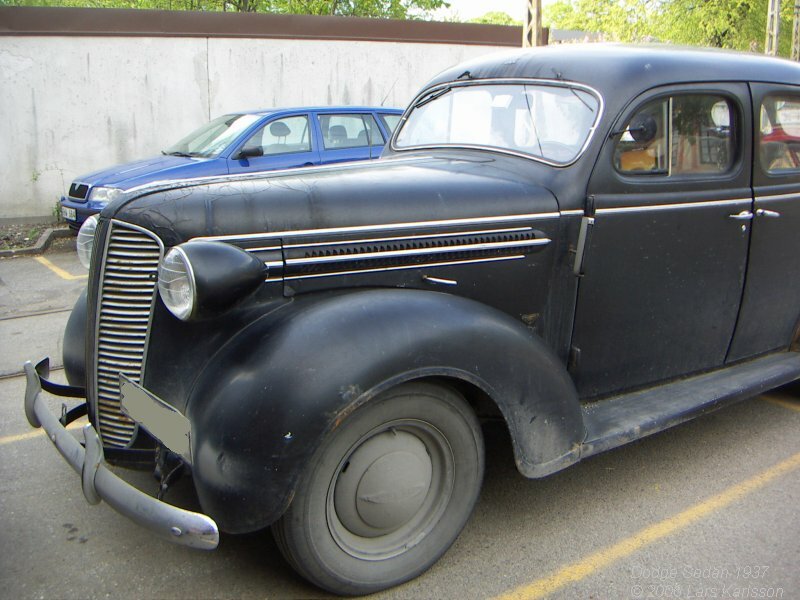 Later I understand it was the same model and year as my father's Dodge, but it had the wrong chassis number.